05 Dec Why Are Orthodontic Elastics Important? Austin, TX – Many people wear braces at some point in their lives, typically in the teen years. And many of these patients may also use elastics during the course of their treatment. But, what is the purpose of these tiny rubber bands? Simply put, elastics help an orthodontist correct the bite. For some patients, the braces by themselves won’t be enough to create the ideal smile. That’s because orthodontics is about more than just creating beautifully straight teeth. It is also about creating properly functioning bites. The braces work to straighten the teeth, but sometimes an orthodontist needs additional assistance to guide the bite. 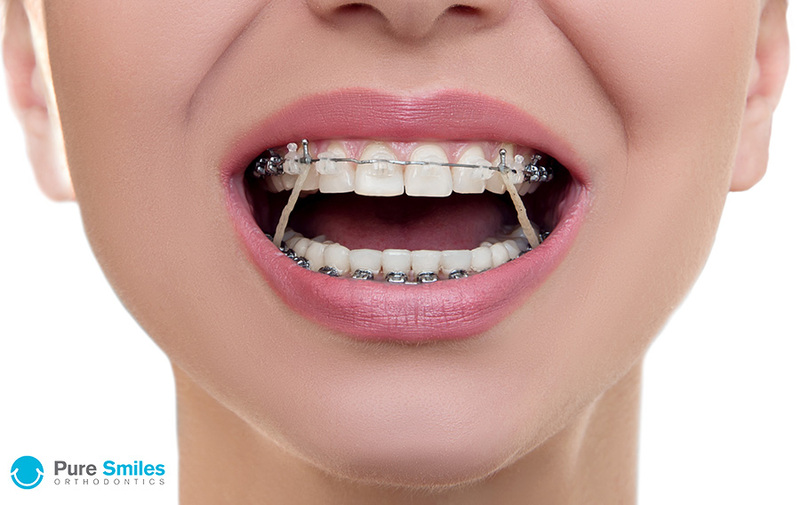 If your orthodontist recommends that your child wears elastics, compliance with the orthodontist’s directions is crucial to ensuring not only a functional bite, but that your child’s treatment stays on track. Nighttime elastic wear is usually recommended, however, some patients may be required to wear them throughout the day as well. Patients should always remove elastics when brushing and flossing so you can properly clean around your brackets and wires, and then replace the elastics with a new, clean set. To ensure the elastics can continue to do their jobs properly, they should be replaced at least every 4-6 hours, with the exception of nighttime wear. Your orthodontist will provide you with the ideal size elastics – never switch your child to a different size without orthodontist approval. If your child does not wear them as directed by your orthodontist, it can affect their treatment progress. The elastics may cause pressure on your teeth. This is normal, as they are working to push or pull the bite into a certain direction. However, in some cases it can also cause discomfort. As you continue to wear them and go through your normal activities with them in, this discomfort will fade. Not everyone who requires braces will also require elastics. But for those who do need them, they serve a very important purpose. Straight teeth should also be accompanied by a healthy, functional bite. If you have questions about orthodontic treatment or if you are ready to give yourself the gift of a better smile, call Pure Smiles Orthodontics today at 512-215-2520.